Peruvian cuisine is successful thanks to its mixture of cultures and to some chefs who are becoming the most important of the planet. Piscomar restaurant is a worthy representative of its quality and innovation without renouncing to its closeness, it has become the new point of interest in the new Acacias area. 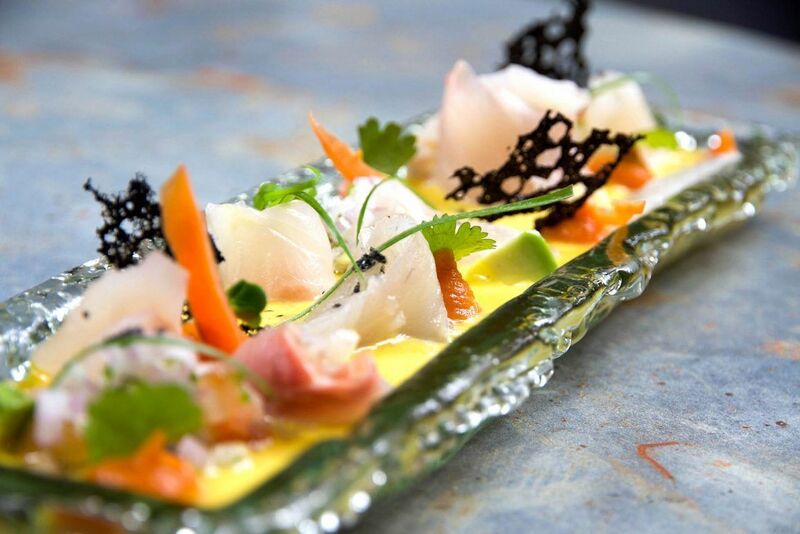 With hard work preparations and beautifully made plated, he obtains a surprising menu which is specified in these two examples: “Cebiche sabe Perú”: Corvina carefully cut in bias adding a balanced lime and salt with purple onion, giving it a unique touch and very out of context accompanied by its garnish and the “Seco de cordero”: macerated lamb in chicha de jora, then cooked at low temperature with Andean novo herbs served with a base of fried yucca and white rice. These elaborations with the best products of Peru, their homemade desserts (Lucuma Cheesecake), together with their incredible quality-price relation make Piscomar restaurant a real discovery. Services: Bookings allowed | Open on Sunday | Daily menú | Tasting menus for groups | Service with waiters.